Nishio (西尾) is located south of Nagoya city. 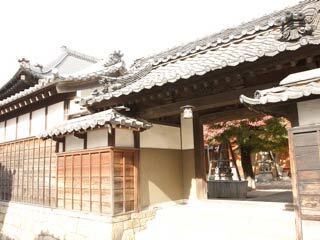 It was used to be a castle town, and today it remains many historical spots including Nishio Castle. Nishio offers the atmosphere of Kyoto when you walk around. You can get a map at the museum of Nishio Castle. The name of Nishio appears in the record of Tokugawa Ieyasu after the battle of Okehazama. Nishio is famous for its tea, called Nishio-cha. It is used for Maccha. The share is 20% and it is the highest share of Maccha in Japan. Nishio Castle was built in 1221 by Ashikaga Yoshiuji.